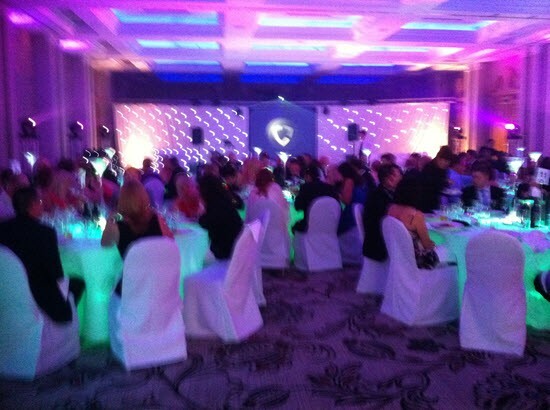 The Corporate Event Company hold one of the largest LED furniture hire stocks available and perfect for every event and occasion. 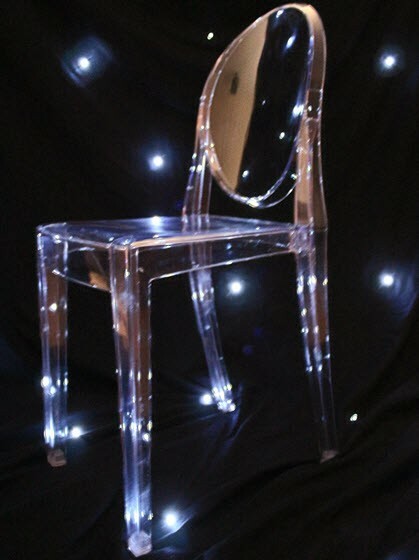 Our Illuminated LED Furniture hire service is available throughout London, Hampshire, Surrey, Berkshire, Buckinghamshire, Hertfordshire, Dorset, Sussex and Oxfordshire. 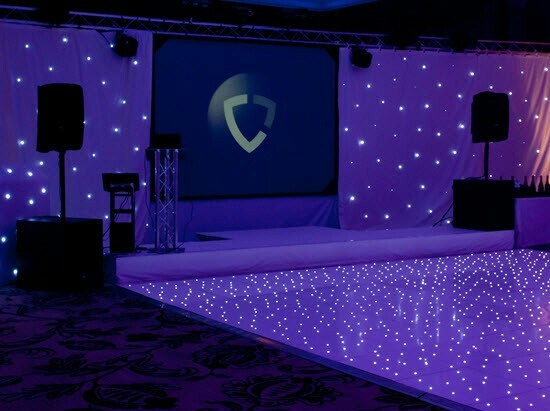 These wireless colour changing LED cubes are one of our most versatile and fun pieces of kit, a guaranteed hit at any event! 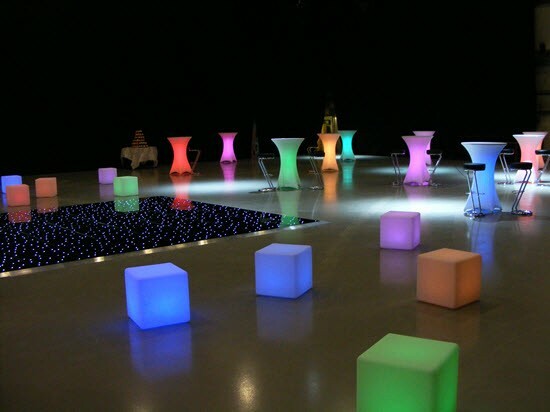 It’s sturdy design making it perfect as a seat or low level LED table, the light cube hire is available in any colour and with the ability to change and scrolls colours. The possibilities offered by mood cubes are multipurpose and endless! These are the perfect choice for any party or evening event. 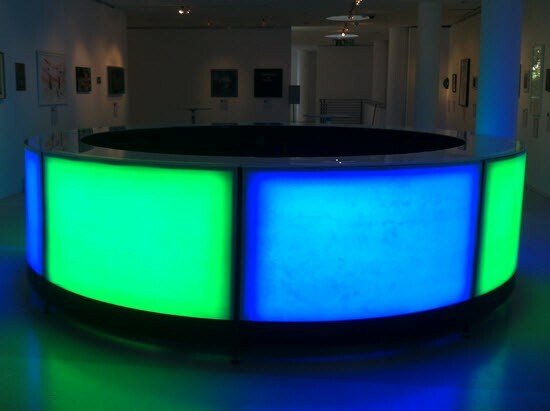 Using the latest technology available the tables light up in any colour you choose and can be set to flash, hold colour or slowly rotate through the vivid colour scheme. 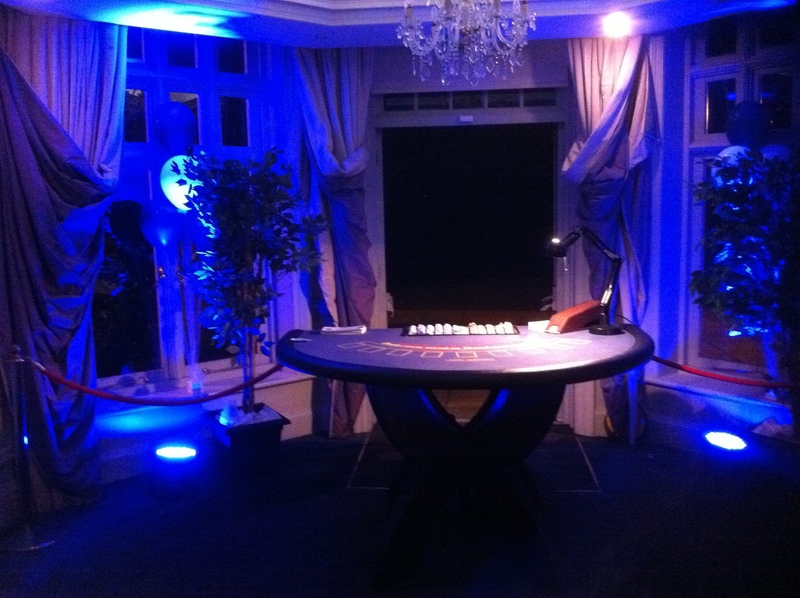 There are no wires or unsightly cables as the illuminated tables are powered by a hidden re-chargeable battery and all controls are operated via a remote control. available in a 6’ diameter which comfortably seats 10. 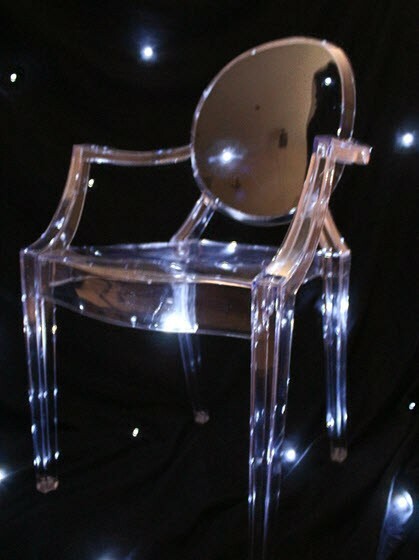 The perfect addition to any occasion where you are looking for a dramatic effect. The illuminated table uses the latest technology available and is powered by re-chargeable batteries, which are discreetly hidden under the table so no need for unsightly cables and in turn no power points are required. 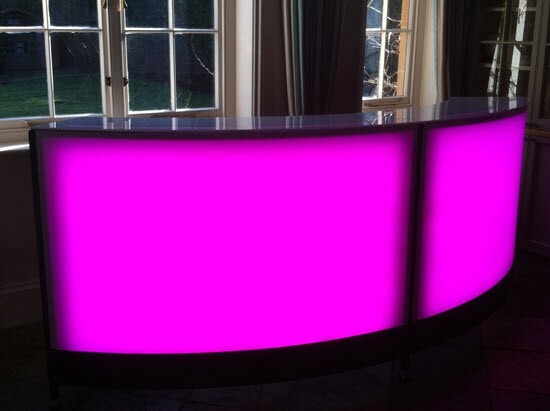 Our new LED cocktail bars are making quite a name for themselves. 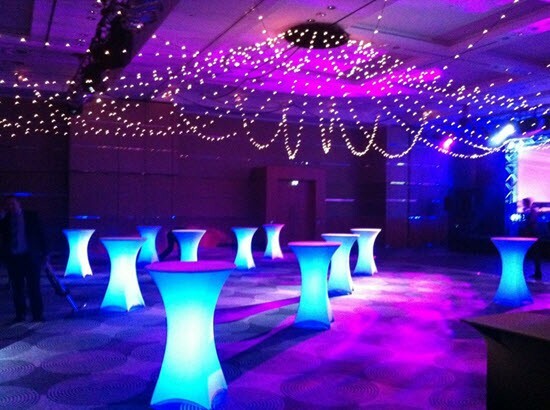 Creating a truly spectacular effect, these bars not only light up in the colour of your choice, but can also oscillate through a truly brilliant range of hues and colours to create a beautiful centre piece and great mood setter. The bars can also be linked. Additional straight sections can also be added (£200 each). Our new LED cocktail bars can be as small or large as you require and prefect for the more intimate function. Creating a truly spectacular effect, these bars not only light up in the colour of your choice, but can also oscillate through a truly brilliant range of hues and colours to create a beautiful centre piece and great mood setter. The bars can also be linked. Available in any colour and sure to add a lift to any room. Simple, effective and value for money. Battery operated LED up-lights available. 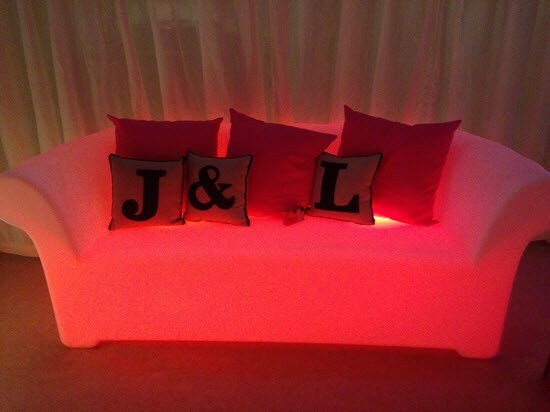 A truly fantastic addition to our range of illuminated furniture.The fully wireless LED sofa is fun, functional and funky a must for your next event. 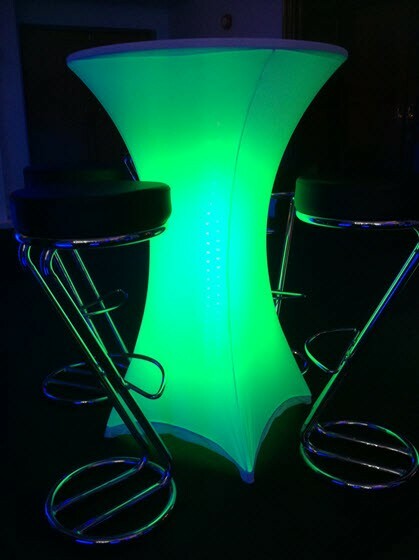 These wireless illuminated colour changing low level champagne tables are a perfect complement to our LED cubes seats and LED Seats. 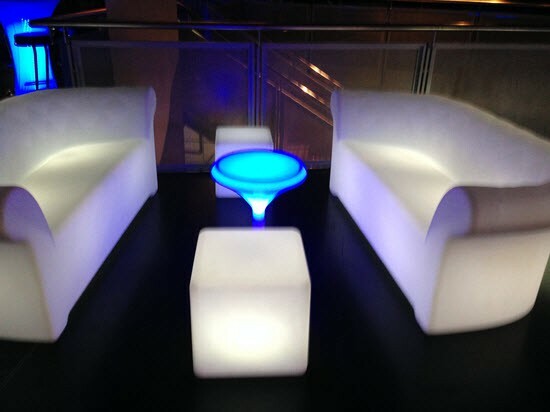 As with all our illuminated furniture these tables have a wide range of colours and effects. 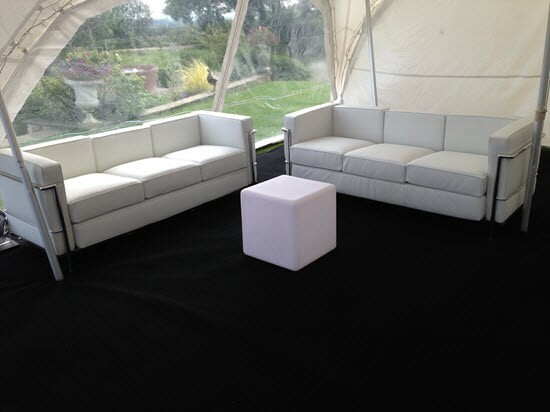 Our leather sofas are available in white or black and two seat or three seat options available. 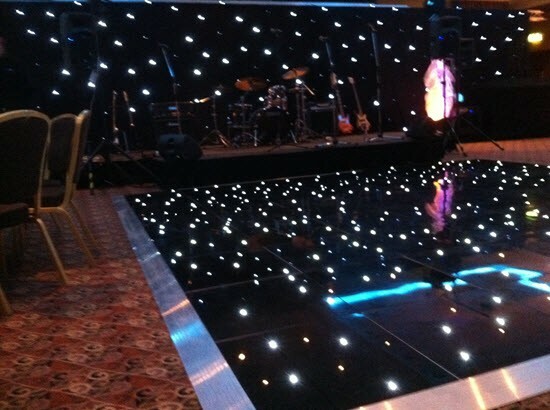 Stunning starlit dance floors available in white or black. Available in White or Black and sure to add a cool and contemporary feel to any function. Supplied with trussing and controller. These 6’ silk flame effect lighting can be set to whatever colour you require. Sure to produce a talking point at any event. 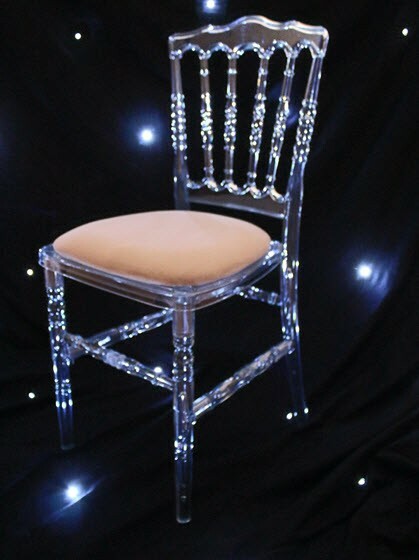 Our Napoleon ice chairs are also available with seat pads for added comfort and in a variety of colours.